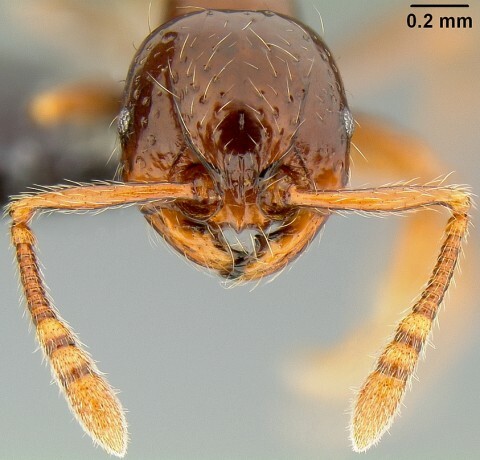 I am proud to announce a new species from Fiji, Pristomyrmex tsujii. Eli and I named it after our friend, Prof. Kazuki Tsuji, at the U. of the Ryukyus here in Okinawa, to recognize his work on Pristomyrmex punctatus, and for his efforts to foster connectivity with Japanese and foreign scientists. This genus is really cool, and this species is one of two species of Pristo in Fiji, both endemic to the archipelago. It’s got some weird intercaste wingless reproductives, with probably some interesting reproductive biology behind it, someone should study it!